Vivo has launched today another variant of V15 Pro known as Vivo V15. The Vivo V15 has almost all the features of V15 Pro except that it does not have in-display fingerprint sensor but conventional fingerprint sensor on the back; it is powered by MediaTek P70 processor compared to Snapdragon 675 on V15 Pro and comes with larger display and more powerful battery. Vivo V15 is priced Rs. 23,990 compared to Rs. 28,990 of V15 Pro which was launched in India last month. The V15 will be available in Glamour Red, Frozen Black and Royal Blue on vivo India E-Store, Amazon.in, Flipkart, PayTm Mall, Tata CLiQ and all offline channels pan India from 1st April, 2019. 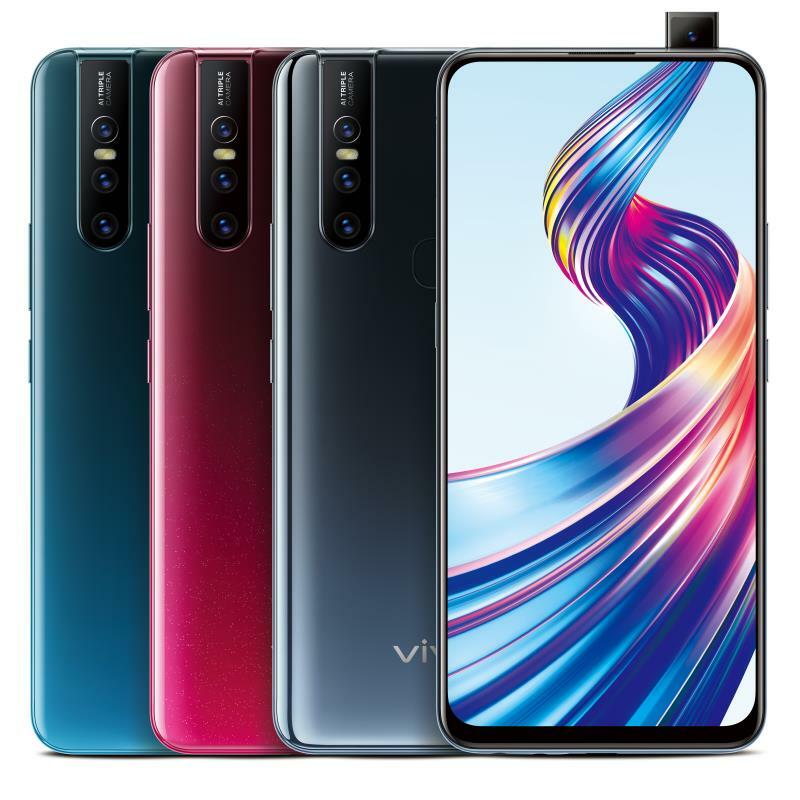 The Vivo V15 sports Ultra FullView display of 6.53 inch display ( 6.39 inch on V15 Pro) with resolution of 1080×2340 FHD+ 19.5:9 display without notch and 90.95% screen-to-body ratio. The display comes with fifth-generation Corning Gorilla Glass for protection. The V15 is powered by octa Core MediaTek Helio P70 12nm processor supported with 6GB RAM and 128GB of internal storage, expandable up to 256GB with microSD. This phone is packed with 4000mAh battery with Dual-Engine fast charging compared to 3700mAh available on V15 Pro. In the camera department, the V15 has same front pop-up camera of 32MP with f/2.0 aperture. However, the rear camera set-up is different from the V15 Pro. On the back, it is equipped with three cameras of 12MP with f/1.78 aperture, secondary camera of 8MP with super wide angle and third camera of 5MP for depth of view with f/2.4 aperture. In the V15 Pro, the primary rear camera was of 48MP with f/1.8 aperture. Rest of the features of the cameras are the same. For security, this phone has fingerprint scanner on the back and also incorporates face unlock feature. This phone runs on Funtouch OS 9 based on Android 9.0 Pie. For connectivity, this phone offers options of Wi-Fi, 4G VoLTE, Bluetooth 5.0, GPS etc.This phone has dimensions of 161.97×75.93×8.54mm and weighs 189.5 gms.